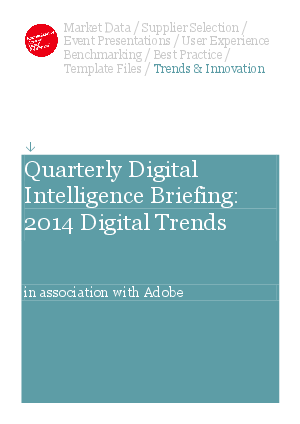 A global survey of over 2,500 marketers and internet professionals show important insight into the digital trends of 2014. Adobe and Econsultancy provide the key findings to help you understand the mindset, needs and concerns of digital marketing professionals. Discover through this briefing the need for the right mix of technology and skills required to evolve in this new era of marketing.